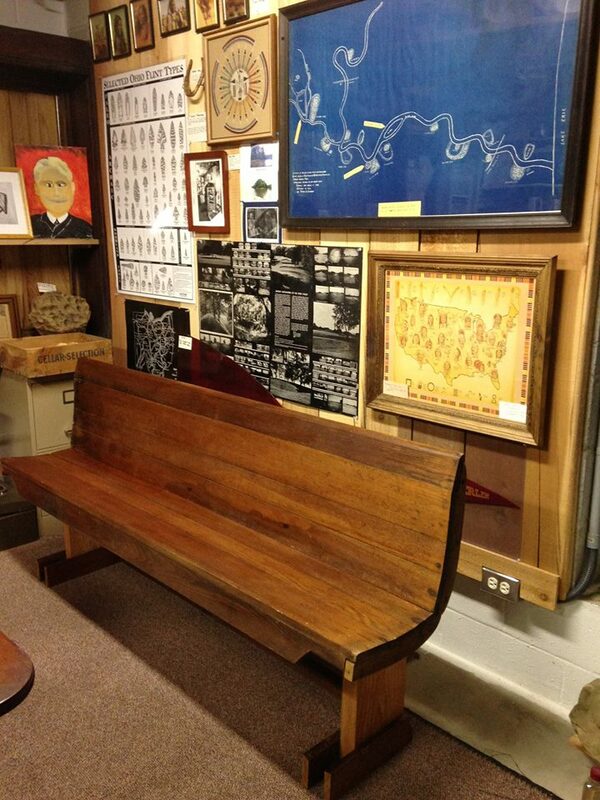 With the help of the Museum’s Bill Nahorn, Col. Matt Nahorn has restored and made usable an original pew from the 19th century Amherst St. Joseph Church. Thanks to Bob and Lisa Stanley and their salvage efforts, we are able to preserve and display materials from the old St. Joseph Church, which was located at the Northwest corner of Tenney and Forest, in Amherst. The building was constructed c. 1864, serving as the original church building. It was demolished in 1996. The Stanleys purchased the salvage rights for the old Church, and they were able to obtain materials for preservation, including pieces of original pews. In the summer of 2014, the Stanleys visited the Museum and decided to donate some extra items from their salvage work. The pieces of an original pew were were found by the Stanleys in the basement of the old church during their salvage operations. Over the past few months we have been working to restore this pew, with the pieces we acquired, assembling them in a unique, historically accurate manner. The newly restored pew now rests, as a usable seat once again, in the Museum’s new third room. We are very pleased to maintain this important piece of early Amherst history. Original St. Joseph pew at the Museum.